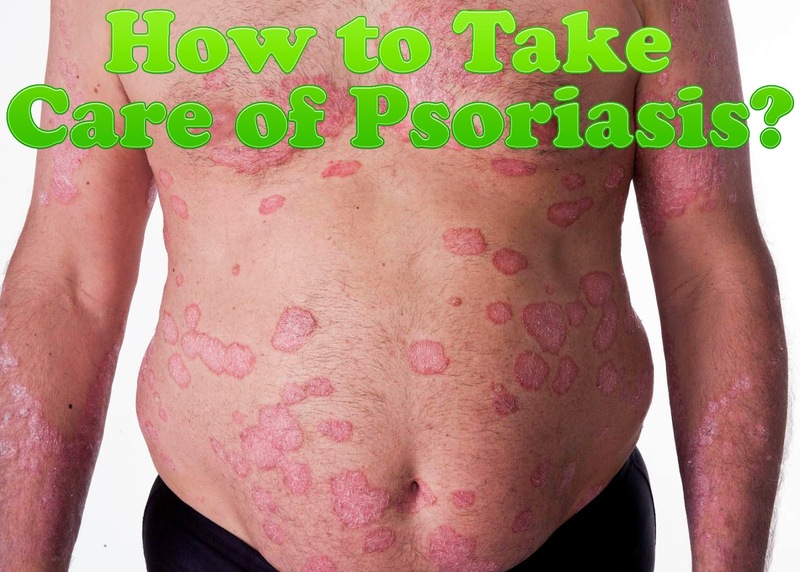 Home » Health & Fitness » Medicine » How to Take Care of Psoriasis? How to Take Care of Psoriasis? To put it in simple language, Psoriasis is a chronic inflammatory disease which usually affects the skin, nails and at times your joints. It is said that patients who suffer from psoriasis are also susceptible to diabetes and heart diseases. It is caused by certain environmental triggers and is usually inherited in your genes. If you have believed that psoriasis is contagious, then you are wrong. It’s a purely non – contagious disease and can get better or worse anytime. As of now, there is no proven cure for psoriasis; however, it could be controlled with proper medication. What Does It Look Like? What Are Its Symptoms And Signs? Psoriasis shows like red or pink patch areas of raised, thickened and scaling skin. Although, it could happen on any body part, usually, it affects your elbows, knees and scalp. Psoriasis varies in its appearance. It could be a small flattened scaly bump or could be a larger thicker plaque of raised patches of skin and red in color. See A Doctor If You See Any Symptom On Your Skin And Nails If you notice any symptom like the ones mentioned above, immediately see a doctor. Although, psoriasis is incurable, but your doctor may still keep it under controlled by proper medication. A dermatologist will prescribe you topical creams containing Vitamin D, steroids, Vitamin A and salicylic acid, which you can apply to the affected areas. Depending upon the severity and need, you doctor may also recommend you phototherapy, which is beneficial but has its own side – effects due to the UV radiations used in the therapy. Things You Should Avoid To Keep Psoriasis Under Control If you are suffering from psoriasis, you should realize that you can’t afford to have anxiety and stress in your life. Anxiety and stress will cause flare-ups and aggravates the symptoms of psoriasis. Moreover, any injury, cuticles, or infection can make things worse for you. If you are suffering from mild or severe psoriasis, you should absolutely abstain from alcohol and smoking as they increase the chances of psoriasis development. At the same time, it is important to avoid too much of sunlight and sunburn to your body. Remedies You Can Try At Home By Yourself If you have been visiting you doctor and using their prescribed medication, you may still use few home remedies after getting approval from your doctor. If you can take care of certain things at home, you would surely be spared of making frequent visits to clinics. The most important thing is to keep your affected skin moist as long as possible. To have better results, peel the crusty skin gently and then apply a suitable moisturizer or prescribed lotion. Moreover, make sure to have adequate sun bath, preferably for around 20 – 30 minutes.